The island of Flores in Indonesia means ‘Flowers’, although this is something of a misnomer as there are no tulips or roses to be seen here. 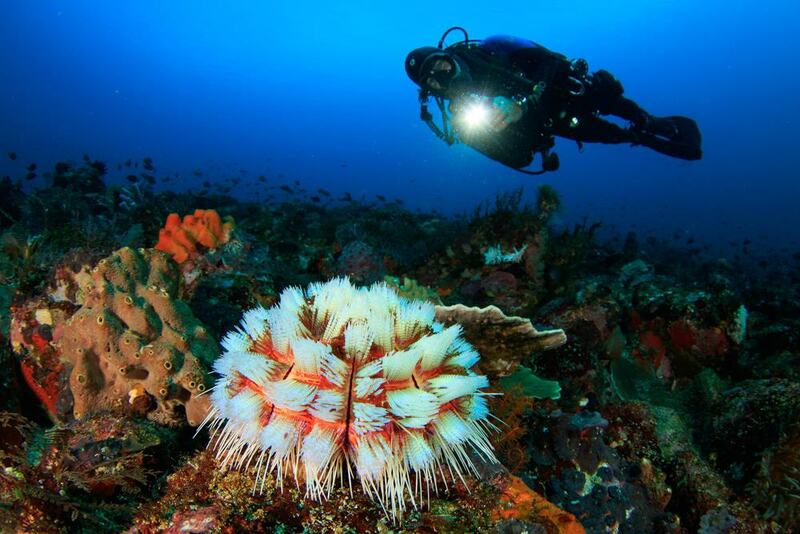 Instead many people come to this island, which sits next to Lombok, for its underwater vistas as this is said to be one of the best places in world to go diving. 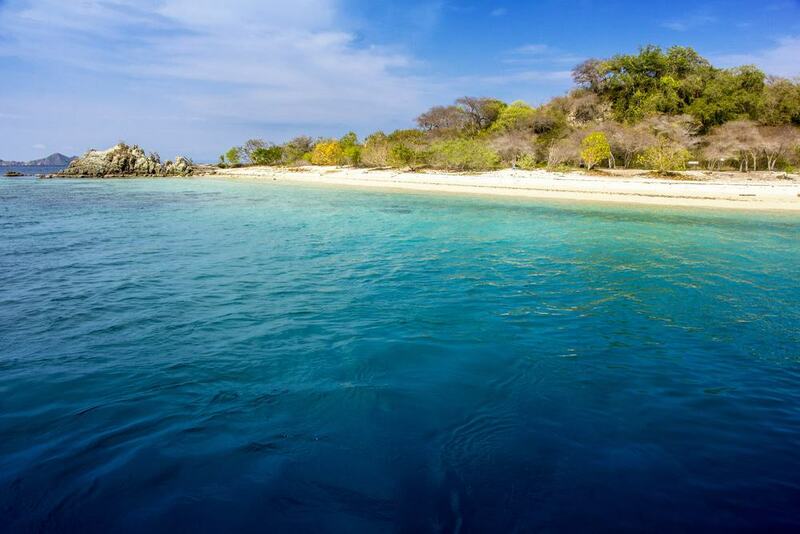 As such, you can expect crystal clear waters as well as pristine sands, and a huge number of underwater creatures call Flores home, including sharks, turtles, and rays. Many visitors to Indonesia never make it this far down the chain of islands, but if you have the time then it is well worth checking out this part of the country. As well as the diving opportunities you can also spend time in national parks or marvel at multi-hued lakes, and this is also the home of the fierce Komodo dragon. In short, whether you want to explore the land or the sea, there is more than enough to keep you busy in this fascinating part of the world. 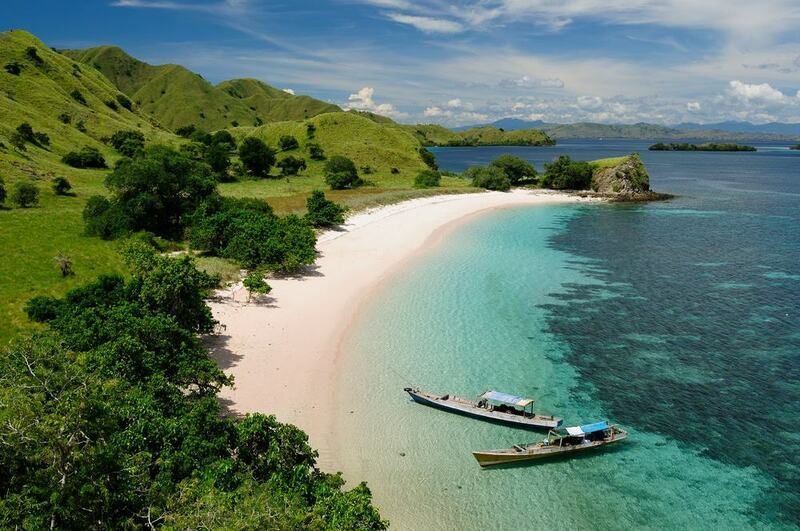 Komodo Island is home to a national park and is arguably the most famous spot in Flores. The park is known for its fearsome residents in the form of Komodo dragons, which are actually a kind of large lizard. You can take a tour of the island to check out these amazing creatures, but you will need a guide to make sure you don’t get too close, as the dragons have toxic saliva which drips from their jaws, so you don’t want to risk a bite. One of the star attractions in Flores is Kelimutu which is actually a volcano, although this is not the main draw here. The reason people flock to Kelimutu is for the three crater lakes that nestle inside the mountain and each one sparkles with a different color. The lakes are blue, red, and green, and the difference in hue is said to be the result of the different gases bubbling away under the surface. Visitors here can hike up to the lakes and it is even possible to camp close to the crater so that you get up early and watch the spectacular sunrise over the rim. 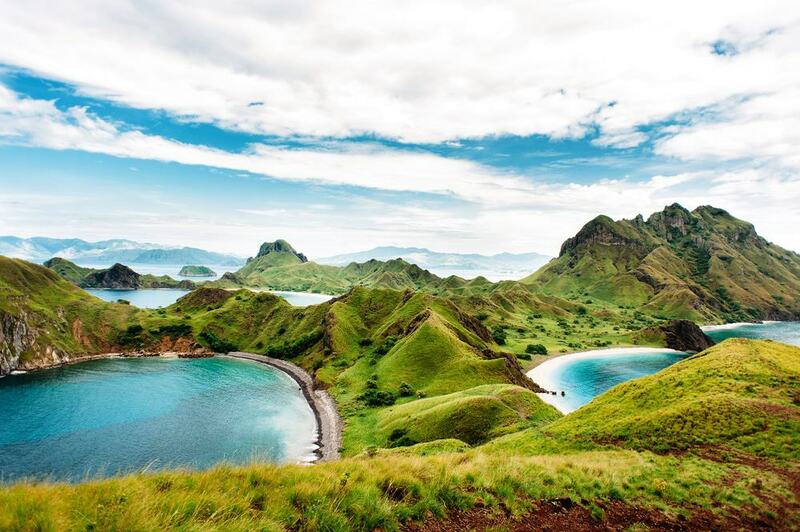 Komodo Island often steals the limelight in Flores but if you are in the area then a trip to Padar Island is also well worth the trip. The big draw on Padar Island is the beaches and there are three separate areas on the island which are black, white, and pink respectively. It is easy to get to Padar Island from neighboring Labuan Bajo and you can trek all over the island on a variety of trails. If possible plan to go across in the morning and go trekking when the weather is a bit cooler before making your way down to the beach for a swim in the afternoon. 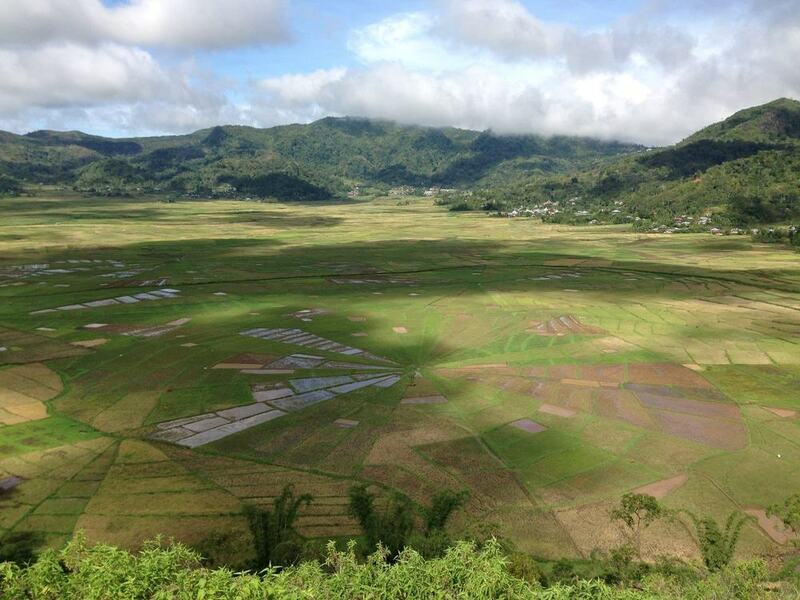 Flores is known for its fields which are actually rice paddies although not in the traditional sense. The fields in Flores are called lingko or spider web fields as the rice terraces are arranged in a spider web formation with each part of the web assigned to a different family in the area. Depending on the wealth of the family, the larger their piece of the spider web and one of the best places to see them is in Cancar close to Ruteng. As the spider web fields are out in the countryside the best way to visit them is to rent a driver who will know the perfect vantage points from which you can admire this amazing feat of design. Kanawa Island is located off the coast from Labuan Bajo and this is something of an underwater paradise if you like diving. The waters here teem with marine life and there is a good chance of spotting turtles, rays, and sharks and you will find colorful reefs as well as coral gardens that sway in the underwater currents. The island is perfect for anyone who wants to get away from the crowds and enjoy the secluded and unspoilt location. 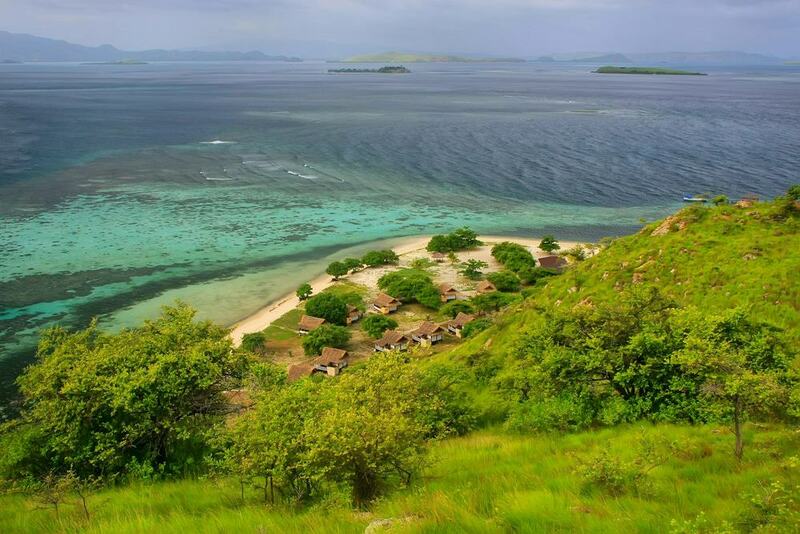 The big draw at the Komodo National Park is the Komodo dragons, so much so that many people don’t even realize that you can also dive and snorkel here. This is a shame however as the waters here are known for manta rays and massive schools of fish, although one thing to note is that the currents here can be strong and changeable, so this is a spot that is recommended for seasoned divers rather than beginners. Penggajawa Beach is sometimes known as Blue Stone Beach although you may also hear it referred to as Green Stone Beach. 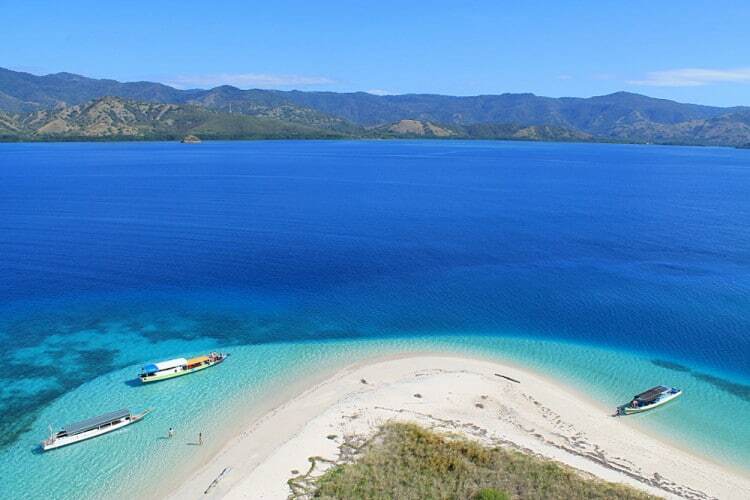 The reason for this is that the beach is made up not of sand but of blue and green pebbles which mean that it is yet another one of Flores’ strange yet beautiful natural phenomena. The main reason to come here is to take in the spectacular scenery although this is not really a beach made for sunbathing so if you want to relax on the sand then you would be better off heading elsewhere. Bidadari Island makes an excellent day trip in Flores and is a small island with a lovely reef that sits just offshore that makes a good snorkeling and diving point. On a swim here you can expect to see hundreds of colorful fish as well as other underwater critters like sea snakes and octopus and if you want to stay a little longer then there is even a luxury resort on the island. The indigenous people in the west part of Flores are known as the Manggarai people and they have a wealth of enchanting traditions and celebrations that are different to anything you are likely to see in other parts of Indonesia. One of these is the Caci dance where two men dance and try to fight by hitting each other with whips while dressed as animals. 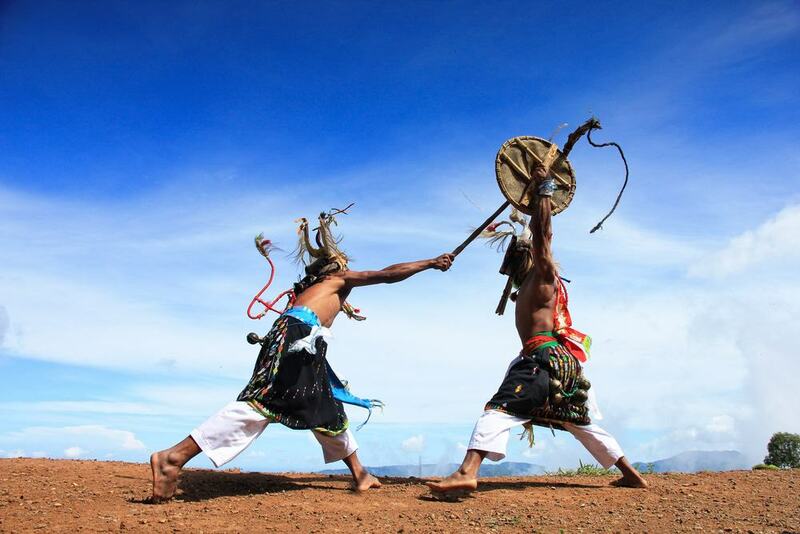 The dance is accompanied by drum beats and is not meant to be a serious fight, so don’t worry that you are actually going to see a violent attack, as it is more a ceremonial spectacle than anything. The dances happen in local villages and don’t usually run to a set schedule, so the best thing to do is find a local guide who will be able to tell you when the next one is going to happen. 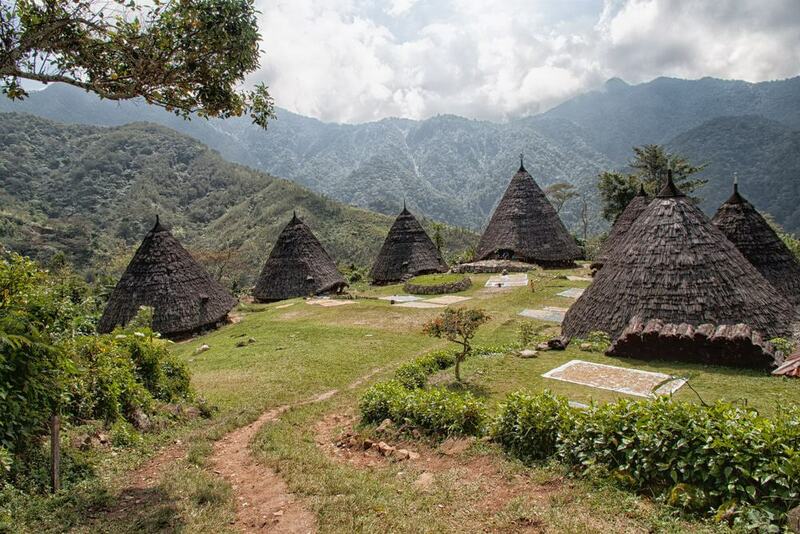 The main reason to go to Wae Rebo is to check out a tradition village inhabited by the Manggarai people, although in this case the journey itself is part of the experience. The trek stretches over 10 kilometers and will take you through sweeping jungles and over craggy cliffs, and you will also pass cascading waterfalls where you can stop for a dip in one of the limpid pools at the base. Once you get to the village you will get to see how the locals live and can enjoy some typical food and music, and even stay overnight in a round hut that is still made in the traditional style. Flores is a land of scenic lakes and soaring peaks, and the deepest of these lakes is Sano Nggoang which gets down to a depth of 500 meters. Many visitors choose to visit the lake as part of a day trip and you can hike to the area through a section of lush forest and there are also hot springs dotted along the way which make a great place to stop for a swim in the warm waters which are said to have medicinal properties. The lake is located around 35 kilometers away from neighboring Labuan Bajo so it is possible to get there and back in a day if you leave in the early morning. Flores has a number of marine parks and one of these is the 17 Islands Marine Park which is a wide stretch of azure waters which are full of fish and turtles. If you want to stay out of the water then you can sunbathe on the white sandy beaches here or you can trek through the jungle in search of resident flying foxes and fruit bats. Most of the islands in the 17 Islands Marine Park are uninhabited so you will need to hire a guide to take you island hopping and you can check out coves and inlets along the way before stopping anywhere that takes your fancy. The Hobbit Cave, known as Liang Bua in Indonesian, is around half an hour away from Ruteng in Flores and is one of the most amazing archeological finds in Indonesia. The cave is set inside a larger cave complex and was found as late as 2003. It is called the Hobbit Cave as it contained a range of small human skeletons which were thought to be around 18,000 years old. There is some contention as to the exact age of the fossils and skeletal remains found here which would change part of the theory of evolution, but whatever the story the cave is still a fascinating place to stop off and learn some history. There is also a small museum next to the cave that explains the cave in archeological and historical terms. Seraya Island is one of the most famous islands in Flores and one of the big ones that everyone recommends on a visit to this part of Indonesia. There is a reef offshore which means that you can see a wide variety of marine life if you want to go snorkeling or diving and it is not uncommon to see plenty of sharks and turtles here. The island itself is also well worth exploring and you will find a dainty fishing village at one end where you can stop off for some local food and drinks. Love Hill sits just outside to Labuan Bajo and people flock here for the sunsets. From the top of Love Hill you can see tropical forests, picturesque hills, and the azure waters of the pretty Flores Sea as they unfurl in front of you. 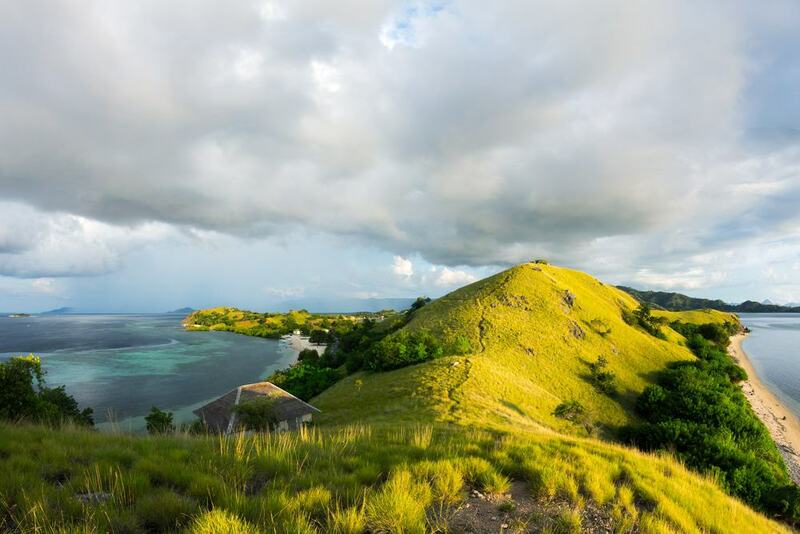 If you are visiting Labuan Bajo then it makes sense to tour the town first and then make your way here in the early evening so that you can make the most of the gorgeous sunset views over the rest of Flores.